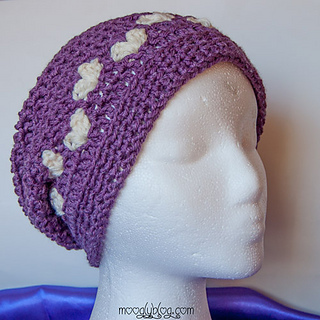 The All Mine Crochet Slouch Hat is perfect for Valentine’s Day, or any day! It’s a one size fits most for teens to adults, fitting 22-24 inch noggins, even the ones swelled up with love. 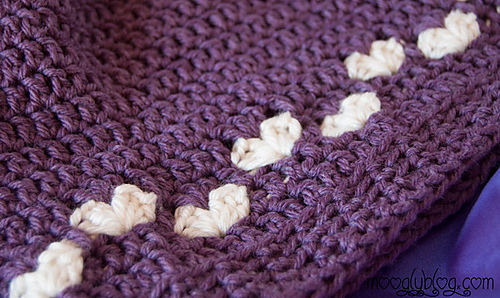 Simple shells make the heart shapes, and you can choose to carry your non-working yarn behind the stitches, tapestry style, or cut and weave in the ends to avoid any and all “peek through” - perfect for using up the smallest odds and ends of yarn! Either way, this free pattern is sweet, warm, and easy to make!